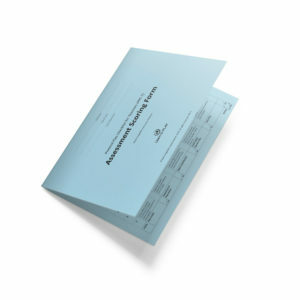 Manual: 26 pages black & white print double sided on 100gsm bond. Cover (1 x Front, 1 x Back) gloss laminate in colour 300gsm satin. Wire bind finishing. Published in 2018. 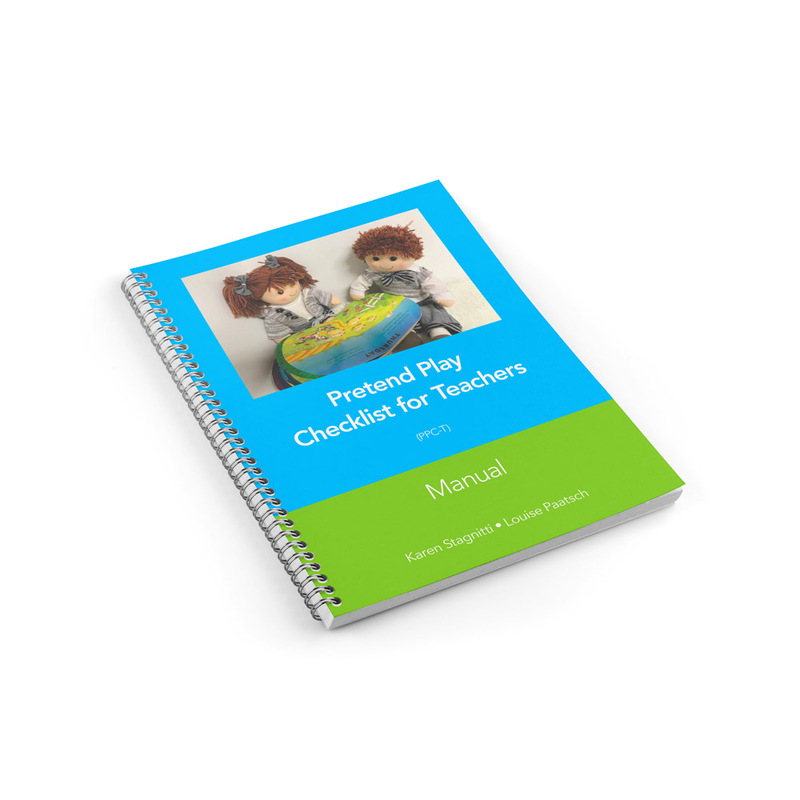 The Pretend Play Developmental Checklist for Teachers (PPC-T) is a non-standardised criterion-referenced assessment of a child’s ability to play. 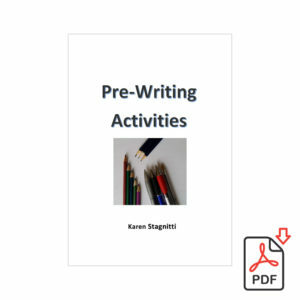 It provides a framework for teachers to observe the pretend play of children. It is to be used by teachers of children in the early years (preschool and school). The PPC-T is an assessment that will assist teachers to understand what pretend play looks like, what the stages of development are, how to understand a child’s play, and how to report on a child’s developing pretend play ability. The PPC-T is a developmental checklist of pretend play that assesses five play skills, each consisting of 9 levels of ability ranging from simple (Level 1) to complex (Level 9). Children develop at their own pace so for many children their pretend play skills may vary across each of the five play skills. The five play skills are play scripts, sequences of play actions, object substitution, figurine play, and role play. The ability of a child to spontaneously initiate their own play is the focus of the scoring of the PPC-T. When children can spontaneously initiate their own play, they have a deeper understanding of the context of the play and are able to generalise their play ideas across settings. Research has shown that children who can competently and spontaneously initiate their own play within a social group tend to be more competent in oral language, have greater self-regulation and socio-emotional understanding (Elias & Berk, 2002; Hughes & Leekam, 2004; Whitebread & O’Sullivan, 2012; Whitebread et al., 2009). 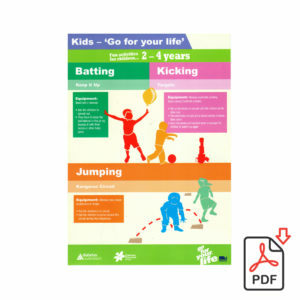 To score the PPC-T, an Assessment Scoring Form is used to record the child’s spontaneous play abilities, emerging play abilities, and also to record if play skills were not observed. The child’s scores across the five play skills are totalled to give teachers information on how to support a child’s play and to identify children who would benefit from further support. 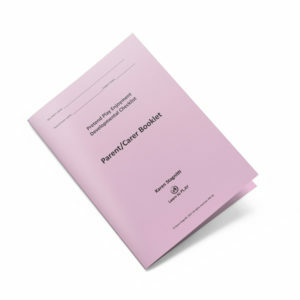 Case study examples are given in the manual. The PPC-T would be a valuable resource for teachers of children in the early years.